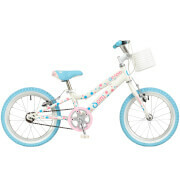 Children's bikes that perform like their grown-up counterparts. DeNovo is all about our commitment to getting kids to be active and have fun. We’re committed to action, adventure and friendship. We believe that children should form a lifelong love of bikes and we want to encourage everybody to get involved. DeNovo Bikes are innovative, robust bikes which surpass the best in class safety standards. Designed with age in mind, Denovo bikes’ are lightweight and offer a relaxed riding position to ensure children have fun for longer! The DeNovo D20 All Terrain comes with a choice of components that ensure durability and a smooth ride. The quick release mechanism on the seat post makes it convenient for easy adjustment to the seat height. 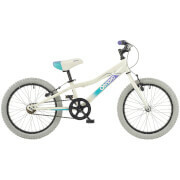 The cool colourful and sporty design gives the bike a distinctive look. There are a few simple steps to complete after unboxing the bike - watch the video. Its the safest bike of all. I have three kids and recently bought the Denovo for the youngest one. My husband's a mechanic, so I got the confidence from his. He was so sure this was the bike he wanted for our son. My son loved the frame, the body had a really amazing colour combination and superb textures. We finally have an all-rounder bike! The bike is one of its kind. 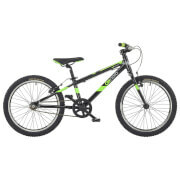 Its super efficient and my son, who is a bike enthusiast at this age, was all keen on buying it. Referred the bike to a few friends to make a tech-check, and the results were more than satisfactory indeed. The Denovo seems very comfortable and super-functional. It looks cool and the colour is very impressive. Its a win-win situation. My son met an accident on his previous bike and had the fear keep him off those since a couple of months. I bought him the Denovo as a present. He was very pleased and once he was on it, the fear was gone, whoosh! He loves it. Very safe for kids and has some of the most awesome textures as a collection. I would recommend it.